Ownership / Access: Property of the Royal Swedish Academy of Letters,History and Antiquities. 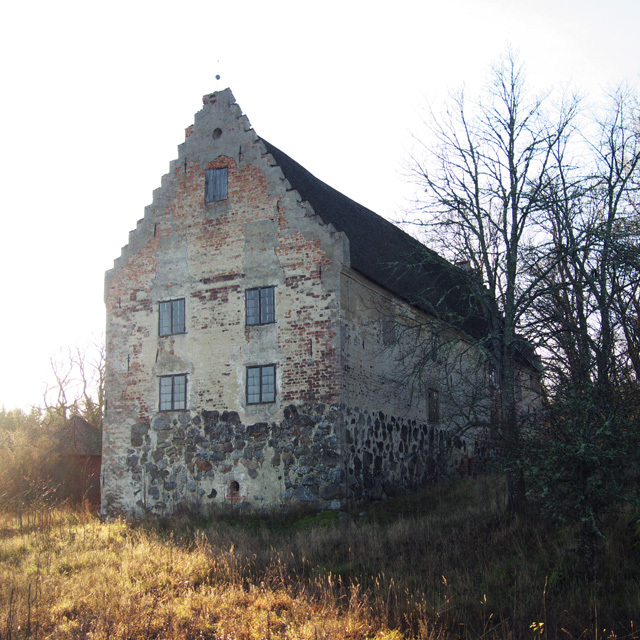 Notes: Uto hus (sometimes Utohus, literally in Swedish Uto house) is a medieval manor in Uppland province, Sweden, on Uto island in lake Malaren. The manor is mentioned in written sources for the first time in beginning of the 15th century. At the time, it belonged to the Schack family. In the 1630s, the estate was merged with neighbouring Gronso Castle. The building was repaired circa 1740 and occasionally inhabited until the 1840s, when it was transformed into a storage. In 1937 the building was donated to the Royal Swedish Academy of Letters, History and Antiquities by Alice von Ehrenheim. The manor is a well-preserved, rectangular medieval manor house with crow-stepped gables. It consists of a cellar, two proper floors and two attic floors. The current division of rooms seems to date from the first half of the 17th century.